Oh, and plenty of sheep. Just think of them as mini alpacas. 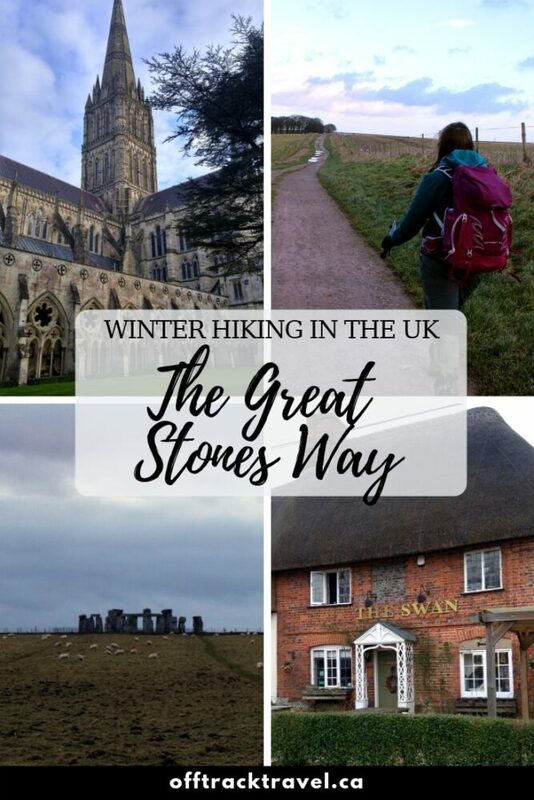 Read on for our experience of hiking the Great Stones Way in winter and all of our tips if you decide to undertake this fascinating journey yourself. Much as I’m sure the Inca Trail is also, walking the Great Stones Way was a continuously astonishing experience. The main attraction of this trail, you see, is the opportunity to visit prehistoric monuments such Stonehenge. Growing up less than 45 minutes drive away from this infamous attraction, I thought that I had been there and done that. I was quite wrong. And Stonehenge is just the tip of the iceberg really, just the start of an ancient wave. 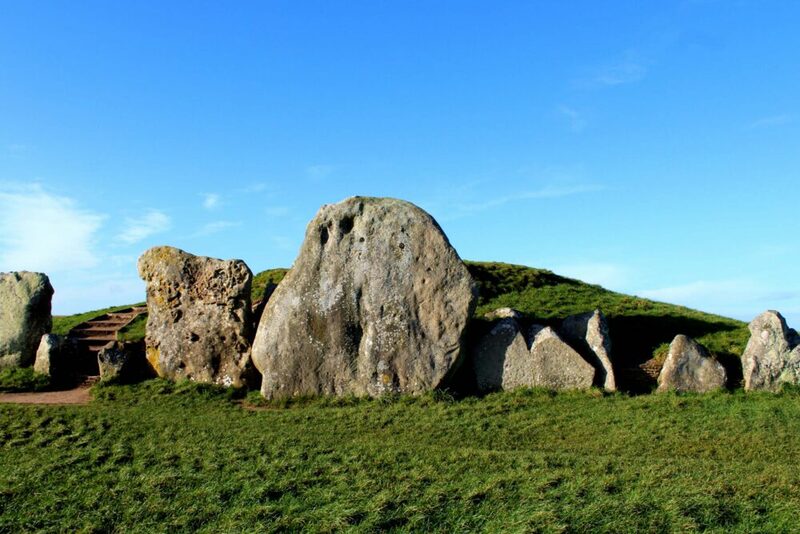 If you think Stonehenge is mysterious, get ready for Silbury Hill (Europe’s largest artificial mound – purpose unknown), Woodhenge (timber circle monument dating from 2000 B.C – purpose unknown) or Avebury henge (largest megalithic stone circle in the world – purpose unknown). 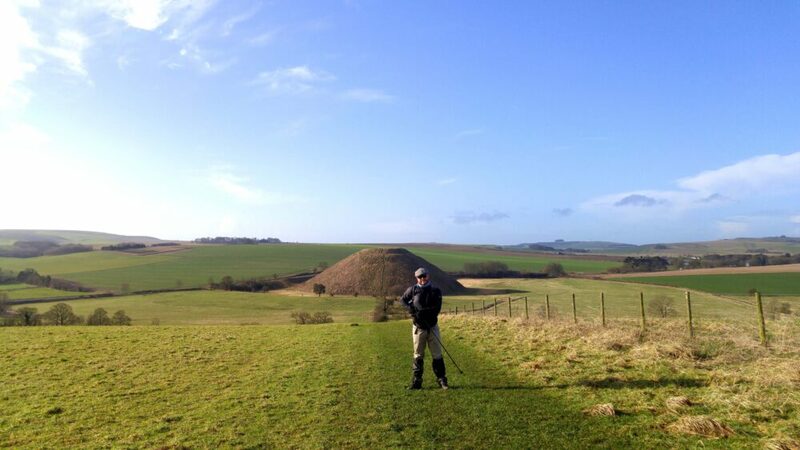 Seriously, Wiltshire is one flummoxing kinda place. And I haven’t even mentioned the West Kennet Long Barrow (stone burial chamber), the Iron Age hillforts (Barbury Castle, Old Sarum) or crop circle conspiracies yet. On their own, any of these sights would be impressive. Together, they provide an intriguing walking experience of mind-blowing proportions. The Great Stones Way is a long distance walking trail in Wiltshire, UK. The 36 mile ‘core’ route, starts (or ends) in Old Sarum near Salisbury and finishes (or starts) at Barbury Castle, close to Swindon. 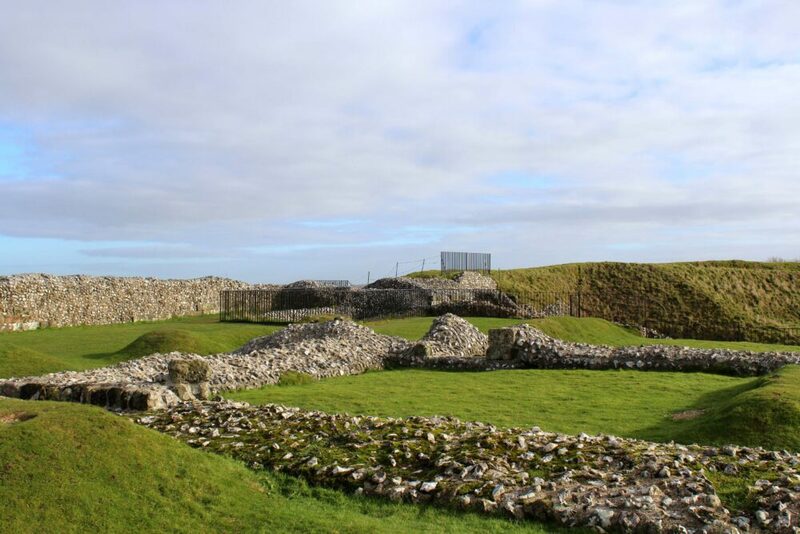 Meandering between these two Iron Age hillforts, the Great Stones Way is a perfect way to see ancient and modern England wrapped up into one 3-5 day hike. 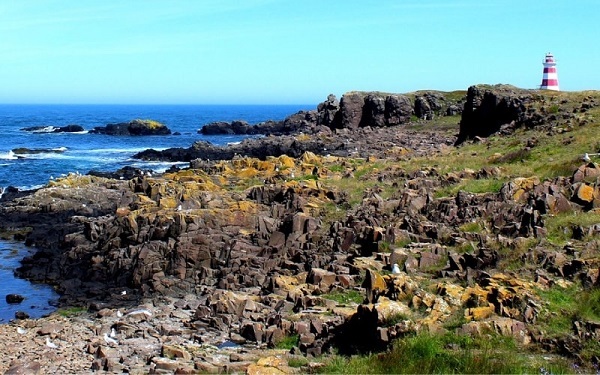 The trail itself is by no means prehistoric (it was devised in 2014) but there is no doubt that many, many people have travelled and explored this area over the last thousands of years. And they all have left their own mark on the landscape. 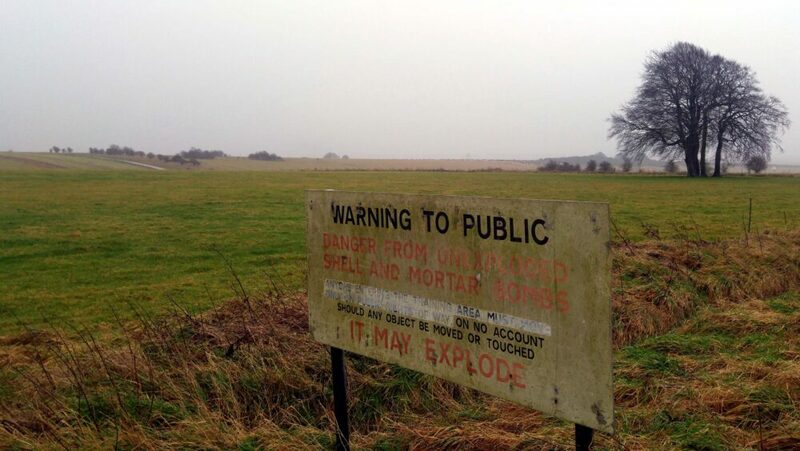 North of Salisbury, the small villages of the Vale of Pewsey have their own hidden history. The Great Stones Way trail winds through the valley, in and out of little villages with medieval churches, thatched cottages and red telephone boxes. 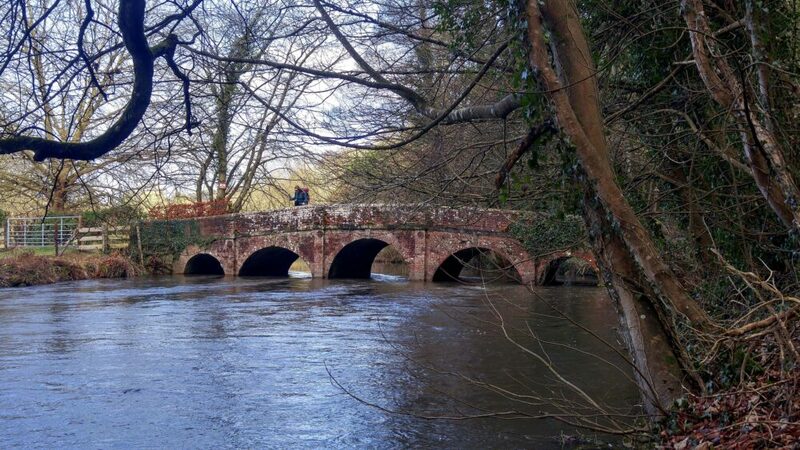 Amongst it all, the River Avon lazily glides along under old stone bridges and alongside a cosy pub or two. 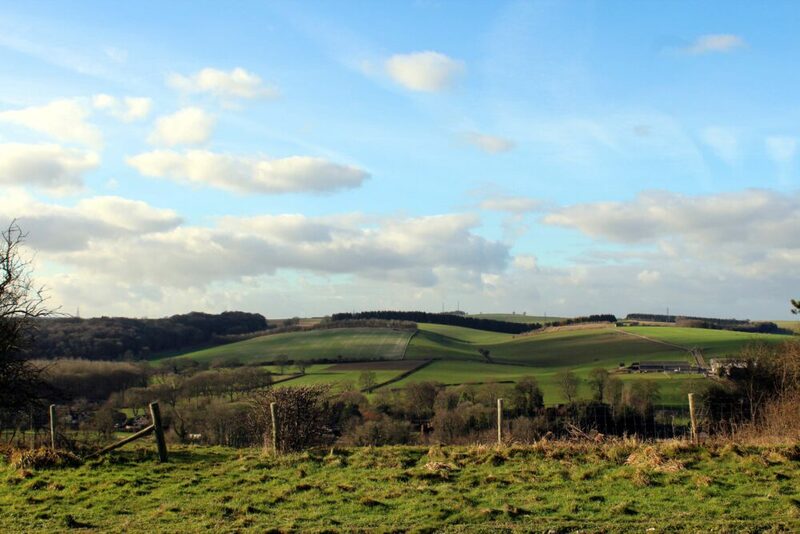 Not only limited to sea level, the route also follows the top of ridges for far-reaching views of the lush Wiltshire countryside. British people often complain about rain yet the landscape is sure thankful for it. Even in winter, it is anything but barren. With a mix of ridge, village and field walking, the Great Stones Way provides a variety of scenery to hikers. 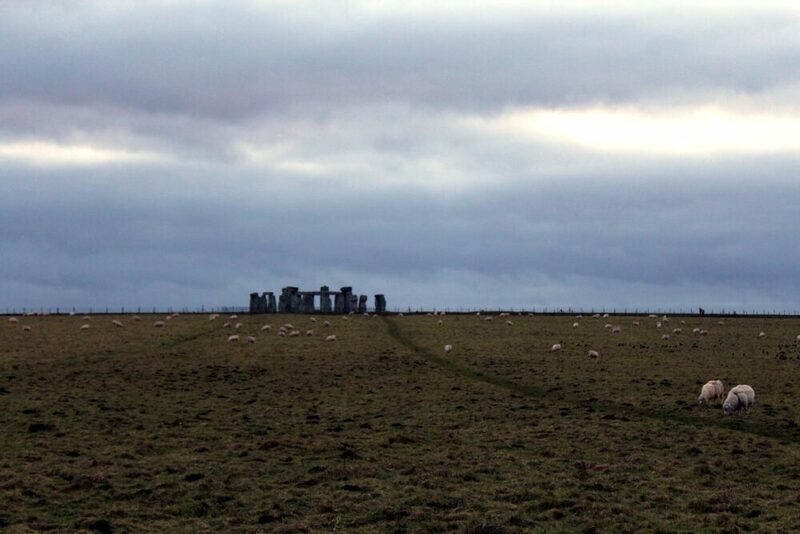 No day was the same, helped by the one-of-a-kind ancient sites on route. Local animals and wildlife also kept things interesting, with pheasants flying out of hedgerows, dozens of rabbits running into their burrows and birds of prey soaring overhead. 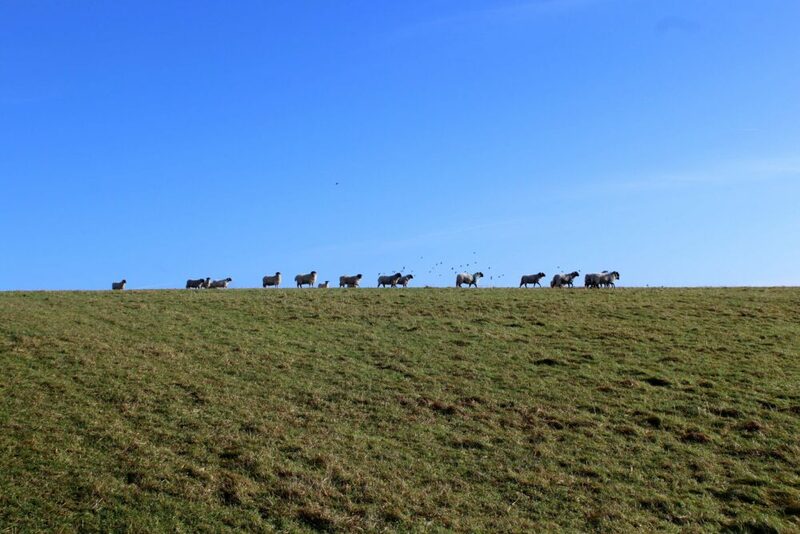 With some many of the footpaths crossing farms, we were sharing fields with herds of sheep, horses and cows, passing gardens filled with chickens and squawking geese. It’s a taste of rural England that you simply can’t get from a road trip. 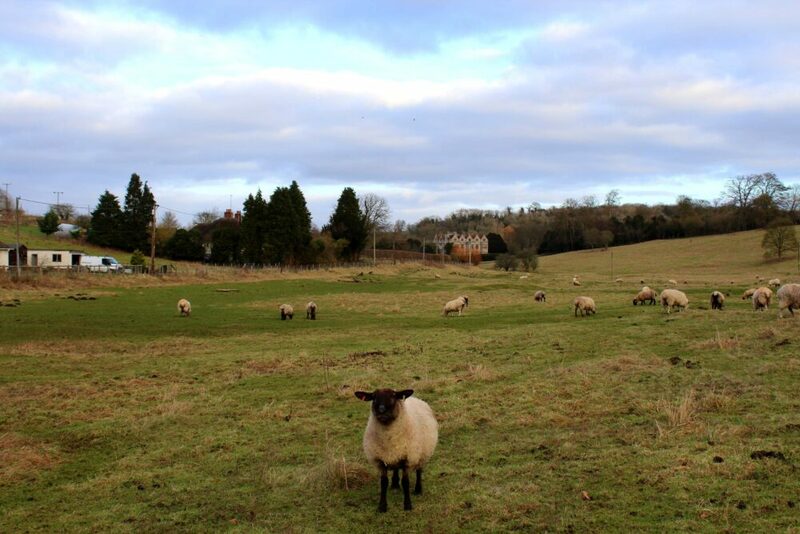 Farm animals aren’t the only residents of this area of Wiltshire. 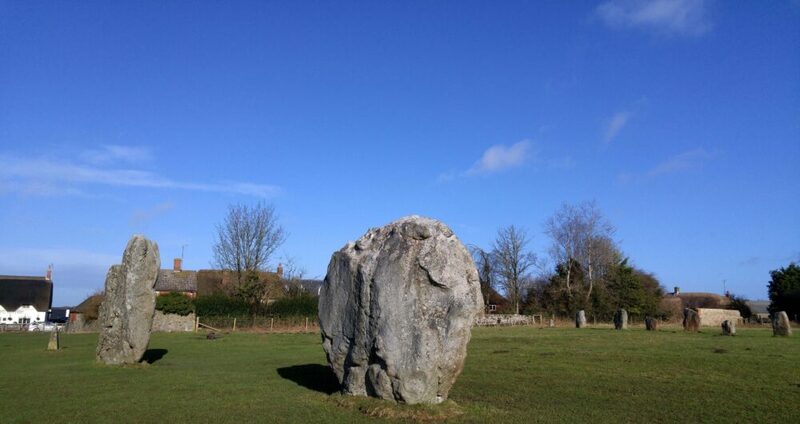 Salisbury Plain is the chalk plateau that the Great Stones Way skirts around. 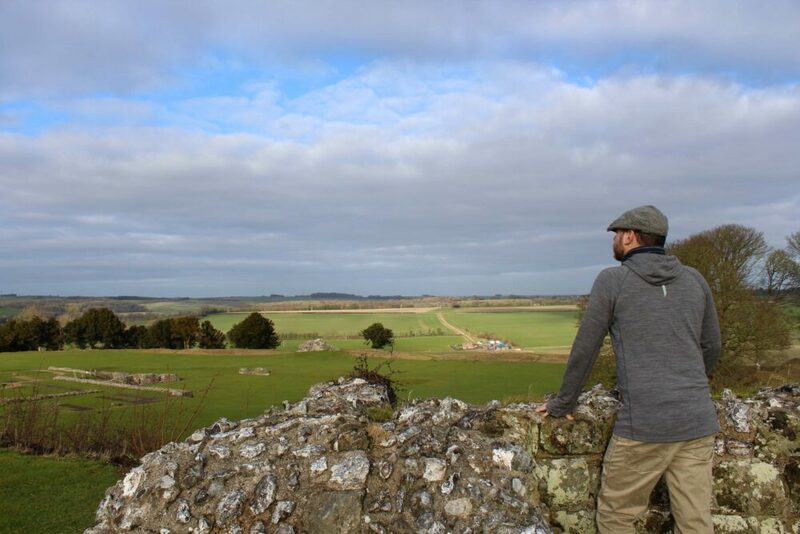 Sharing this wide open area with Stonehenge is the British Ministry of Defense who have used the Plain for military training purposes since the late 19th century. Although the military presence doesn’t directly affect hikers on the Way, the frequency of helicopters flying overhead is noticeable as is the sound of occasional live firing. Far from being a nuisance, we found it interesting. For such a relatively short hike, the Great Stones Way definitely packs the sights in. 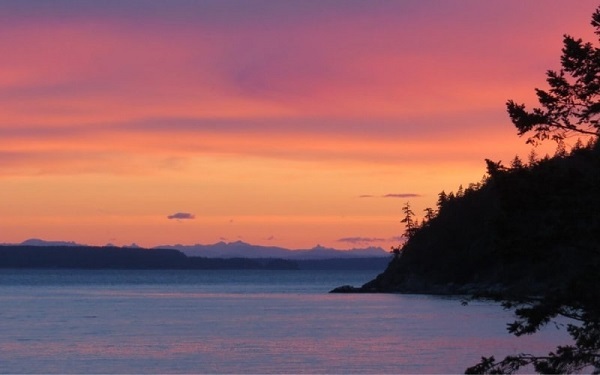 It’s an easy trail with plenty to see and experience, in an area usually seen as something of a one-hit wonder by international tourists. I’ve heard people say that Stonehenge is overrated or anti-climatic. After walking 13 miles to see it, I’d argue it is anything but. Walking between these ancient sights absolutely helps put things into perspective. The effort our prehistoric ancestors put into building these monuments is incredible to think about and yet we still don’t really know why (notably in an era where we are supposed to know a lot). The least I can do is marvel in wonder. 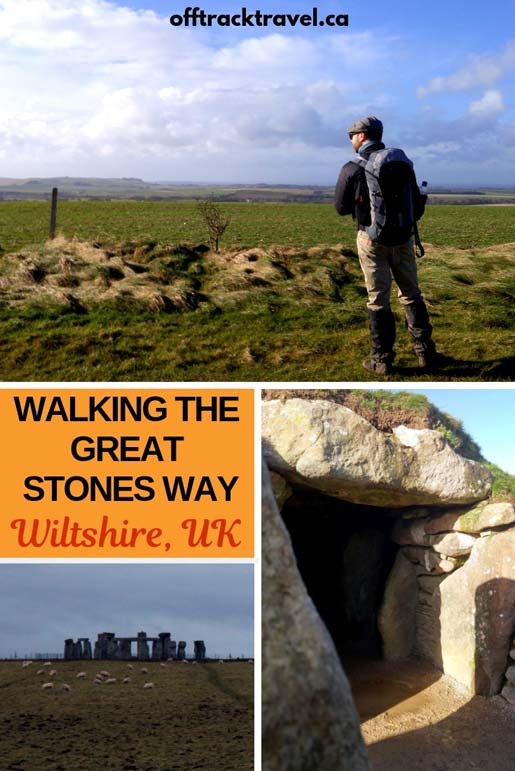 The Great Stones Way isn’t a traditional pilgrimage trail but it sure could be. Should you walk the Great Stones Way? If you like picturesque thatched villages, fascinating ancient sites and pretty English countryside views, most definitely yes! It really is a beautiful route, full of variation and lots of different sights to see on the trail. 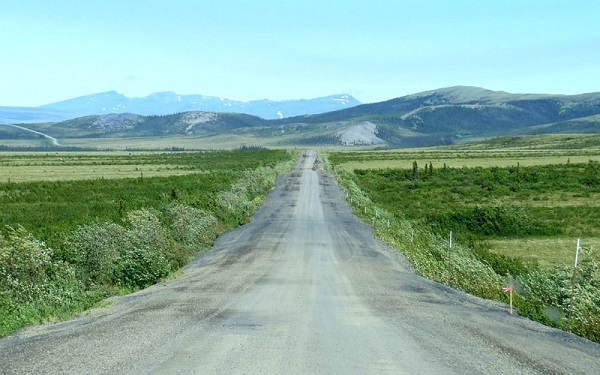 The length of the route (36 miles plus detours and extensions) is attractive for walkers who have limited time but want to finish a full ‘way’ or trail. 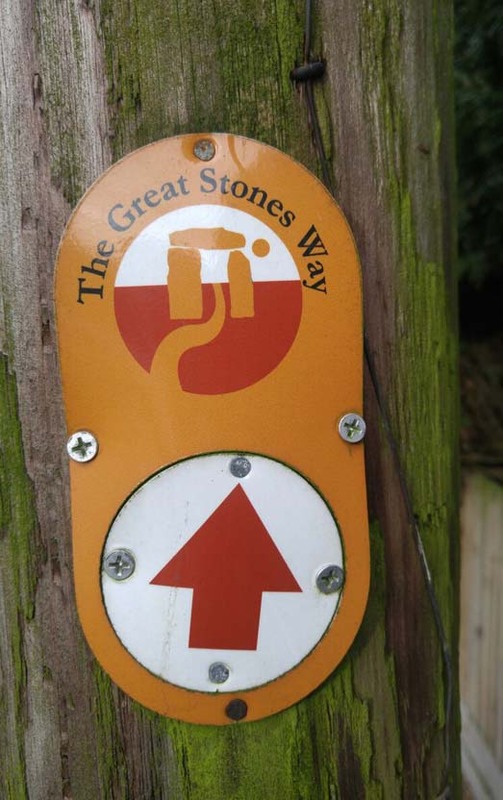 The Great Stones Way is a low difficulty trail overall, especially the latter half. The total elevation lost and gained is little and infrequent. 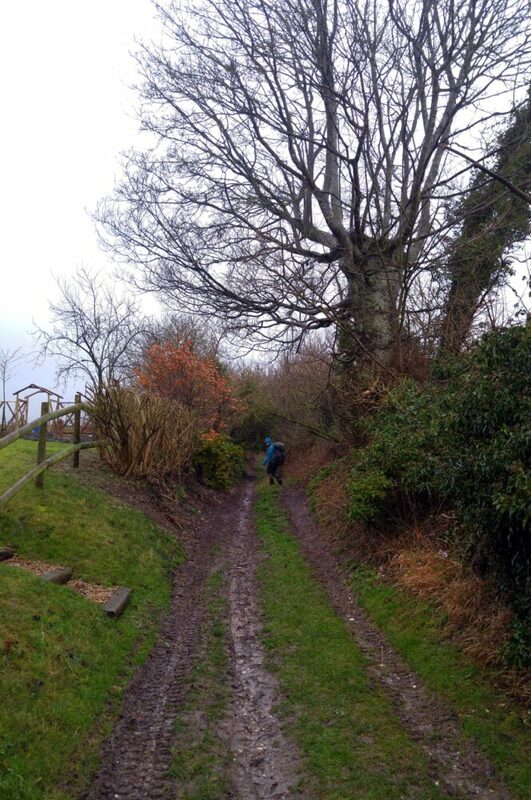 Pathway surfaces vary from tarmac, dirt road and towpath to grass ridgeline, fields and a few rocky bridleways. The Great Stones Way route travels through chalk downland, the properties of which provide great drainage and therefore less mud. For those travelling on public transport, the start and end points are easily accessible (more info below). 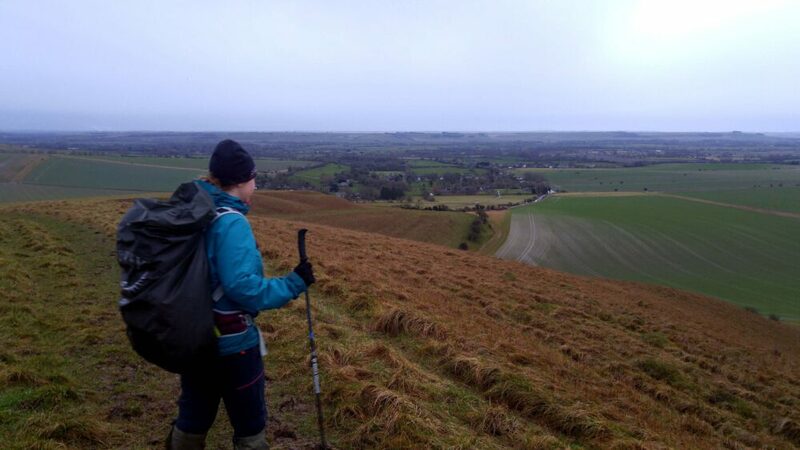 It is easy to extend or slightly deviate from the Great Stones Way core trail to see other places, walk another route (The Ridgeway National Trail, Wessex Ridgeway) or reach larger towns. There are a few major road crossings but all were manageable with a little patience. We never had to wait more than three or four minutes to cross the road safely, even on the always-busy A303 near Stonehenge. There is some road walking, mainly on small village lanes, required and there were some parts of this I didn’t enjoy. 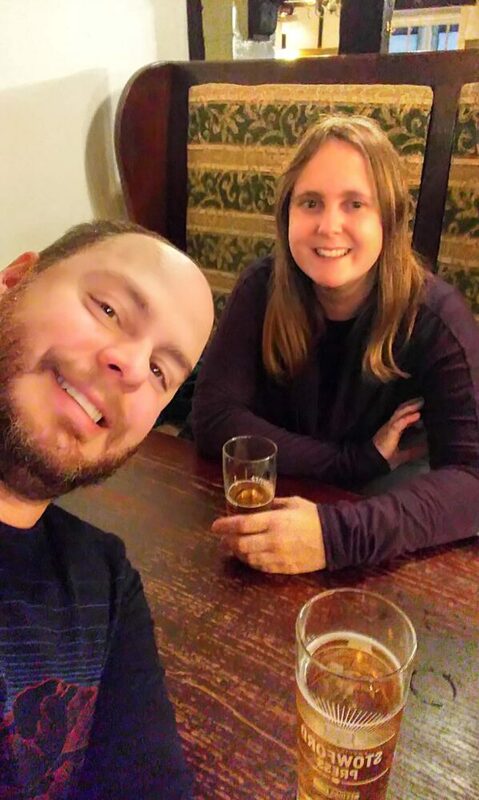 On the one hand, walking through small Wiltshire villages was a wonderful experience (we especially liked Netheravon, Upper Woodford, Figheldean and East Kennet), and I wouldn’t want to have missed that. On the other hand, there were a few roads on which I felt temporarily unsafe with the lack of visibility, the speed of the passing traffic and the narrowness of the lane. In particular, the section between Coombe and Enford and the very short portion just north of Alton Priors. The lack of signage wasn’t a major issue but it did slow us down a little. 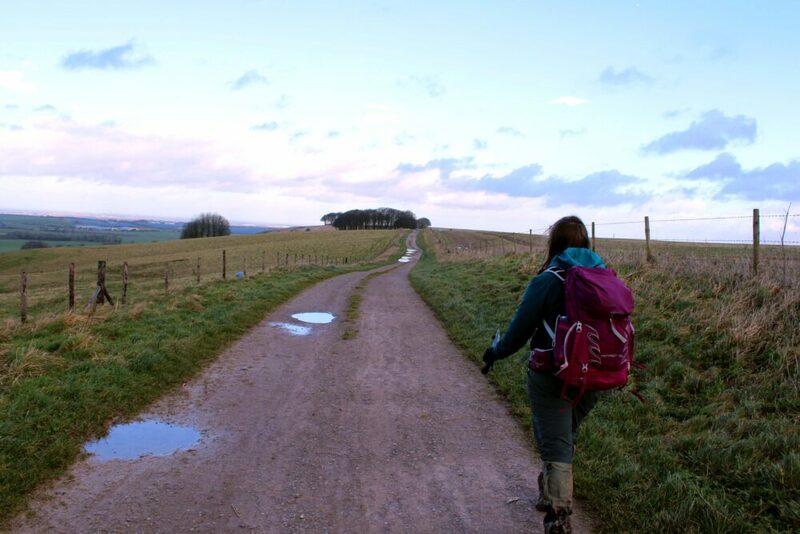 Compared to my hike on the South Downs Way when I hardly ever had to even consider orientation and direction, we needed to quickly check the map every ten or fifteen minutes on the Great Stones Way. There are a lot of twists and turns and since there are no waymarks or signs, it was necessary to be sure of the route regularly. The Great Stones Way travels through a mostly affluent area of England. The Vale of Pewsey (north of Durrington and south of Marlborough) in particular is full of beautiful villages but staying here comes with a price. Even in the winter, the average cost for a night in a B&B in this area sits at around £80-110. 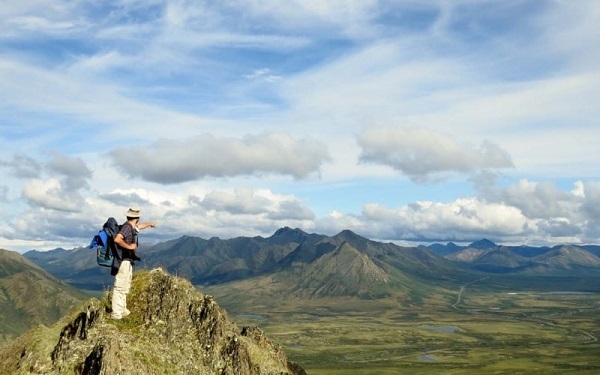 It’s certainly not the cheapest place in the country for a multi-day hike! 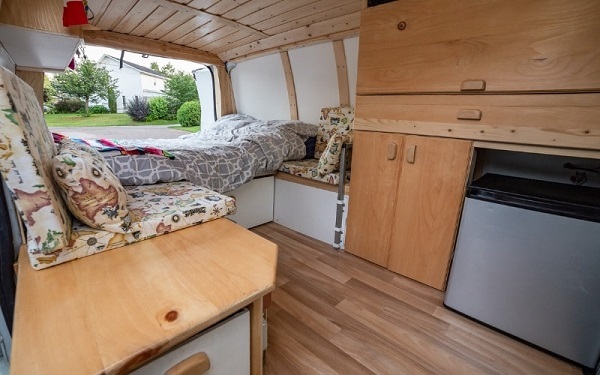 Having said this, the accommodation was generally of a high standard to match the price. The core trail of the Great Stones Way is approximately 36.5 miles total, travelling from Old Sarum to Barbury Castle or vice-versa. Before hiking the trail, I couldn’t find much information besides the guidebook, the Friends of Ridgeway website and the LDWA write-up. Here’s everything we learned. The ancient sites of Avebury henge, Silbury Hill, West Kennet Long Barrow, Woodhenge and Stonehenge are not directly on the Great Stones Way. To visit these places, walkers must detour along the route. Walkers will also have to detour to find accommodation along much of the route and/or hike additional miles to start and end their Great Stones Way journey. For this reason, the average distance hiked on the Great Stones Way is more realistically around 45-60 miles. Our own walk, as described at the beginning of this article, was around 60 miles (100km) total. 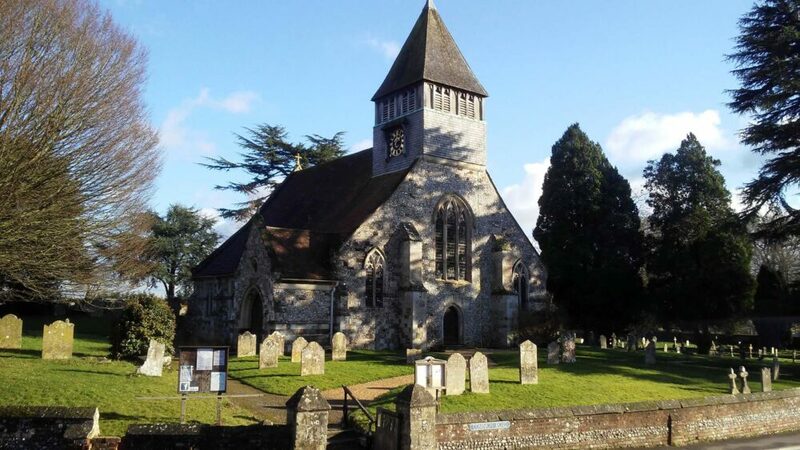 We started at Salisbury Cathedral and ended at the village of Ogbourne St George. 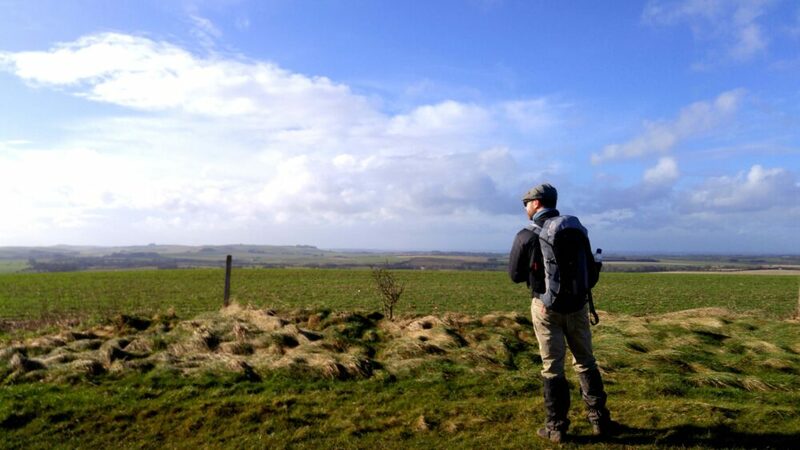 The Great Stones Way technically ends at Barbury Castle, so we continued along the Ridgeway National Trail from here. Guidebooks – There is currently just one guidebook for the Great Stones Way, published by Cicerone. It’s not an extensive book (80 pages total) but has section-by-section coverage of the walk and offers detour suggestions to the major sights. Maps – The Great Stones Way is not a dedicated National Trail and as such, is not marked on recent Ordnance Survey maps (to the best of my knowledge anyway). Despite this, Ordnance Survey maps are still useful for navigation. The relevant maps are – 130 (Salisbury and Stonehenge), 157 (Marlborough & Savernake Forest), 169 (Cirencester & Swindon). Another item I found helpful was Nick Hill’s hand-drawn (to scale) Avebury to Stonehenge map. It deviates a little from the Great Stones Way but I loved the detail of trail conditions and points of interest en-route. 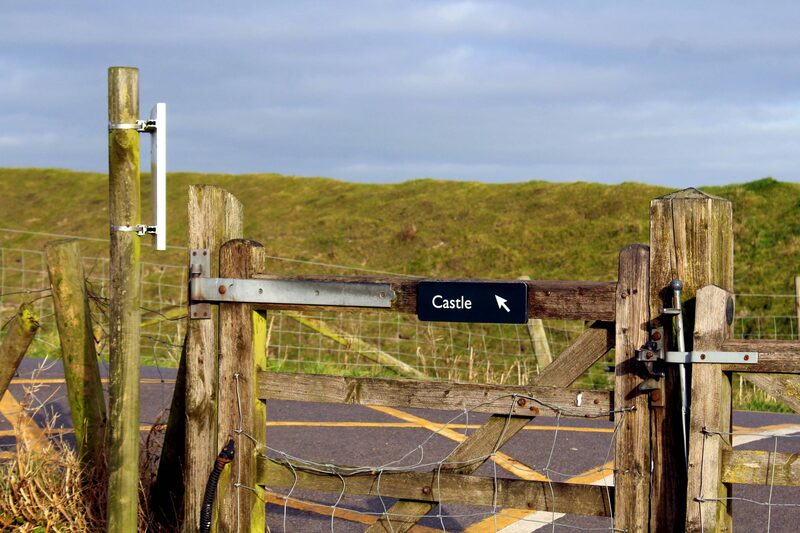 GPS – The easiest way we found to navigate the Great Stones Way was with GPS software. I downloaded the GPX Viewer app and then the Great Stones Way GPX route file from walkingenglishman.com. Having GPS navigation on my smartphone meant I could simply glance at the route and see whether we were still on track. Very handy and quite easy on battery too. With the Great Stones Way travelling through so many small villages, the most common type of accommodation available to walkers is B&Bs. 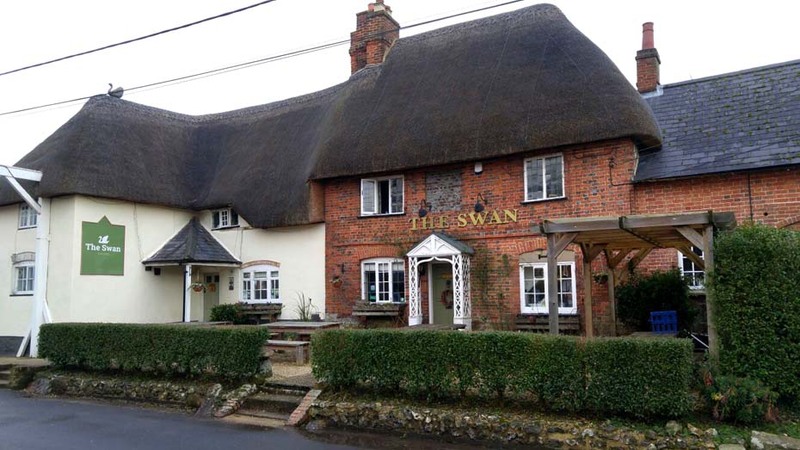 There are a handful of pubs with rooms around Amesbury/Durrington and a few others on or close to the route in the Vale of Pewsey. Campgrounds on the trail are limited. All included a cooked English breakfast as standard. The villages on the Great Stones Way trail are, for the most part, quite small and not all have a pub or shop. 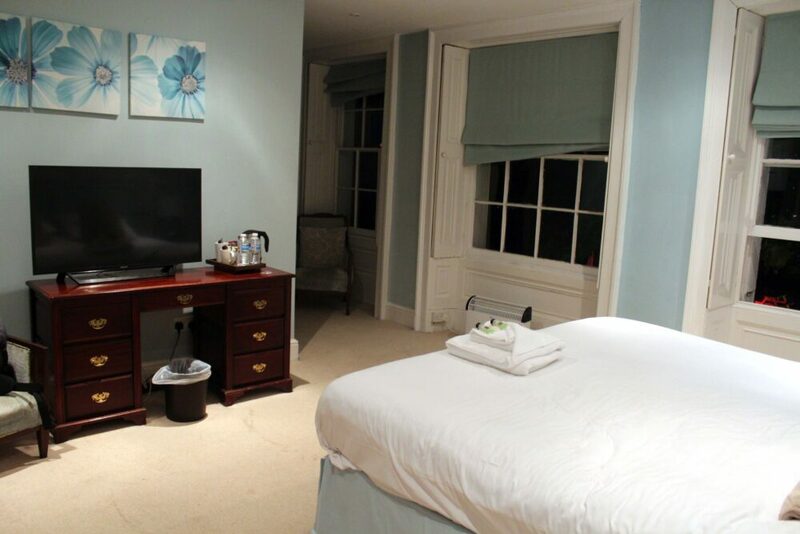 Looking to book a stay in Salisbury at the start or end of the Great Stones Way? The original route of the Great Stones Way, as conceived by the Friends of the Ridgeway walking group, travels between Barbury Castle and Old Sarum near Salisbury. It was designed to extend the Ridgeway National Trail, which begins at Overton Hill, Wiltshire and finishes at Ivinghoe Beacon, Buckinghamshire. 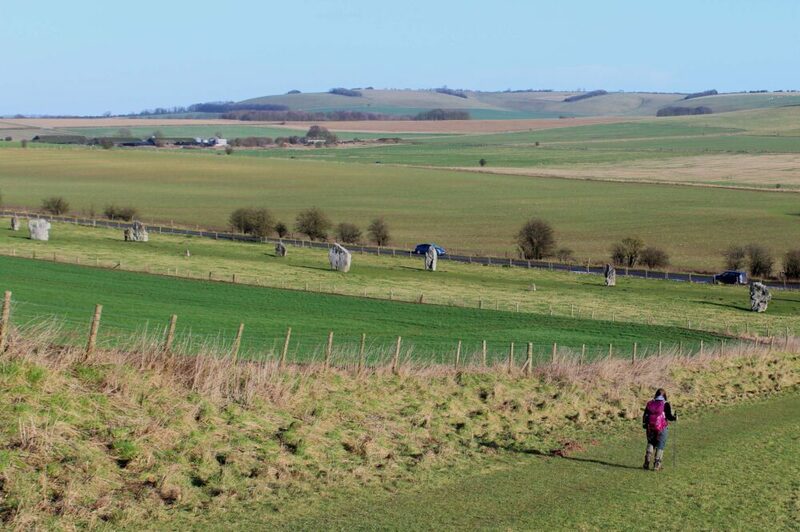 With Barbury Castle being quite isolated, Great Stones Way walkers often start or finish in nearby Swindon instead, adding about 7 miles to their walk. 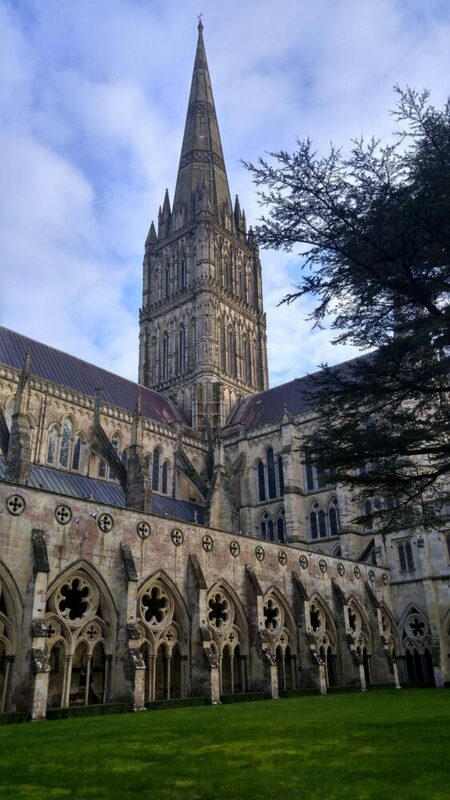 The cathedral city of Salisbury is also a common extension, being only 2 miles away from Old Sarum. Both Salisbury and Swindon have good public transport links. We officially started our walk outside Salisbury Cathedral and ended in the village of Ogbourne St George (about 3 miles east of Barbury Castle). 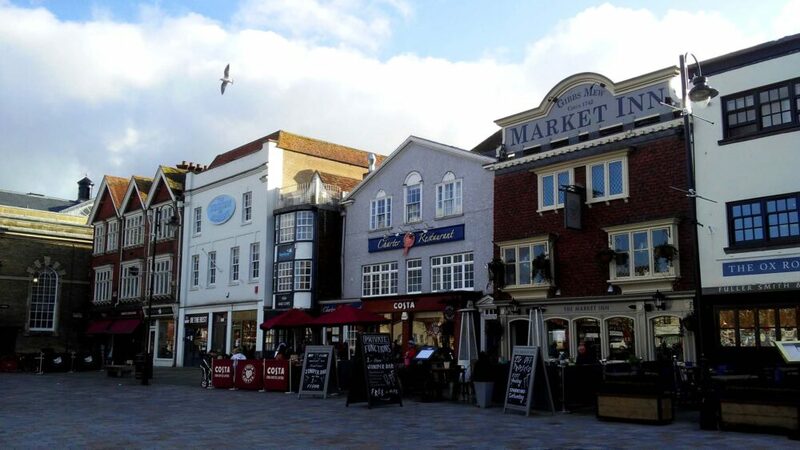 The reason for this was simple – Salisbury is easily accessible via public transport from my parent’s home near Romsey and Ogbourne St George has a bus service running hourly to Salisbury. The X5 bus from Ogbourne St George also travels to Swindon in the other direction. Most British people thought we were a little mad to want to do a multi-day hike in January. The thing is, we knew it may rain the whole time. We knew that there might be a lot of mud. But the probability was that it probably wouldn’t rain the whole time AND it would likely be around 10 degrees Celsius the whole time. Trust me, 10 degrees in January is warm compared to winter standards in most of our home country of Canada! So we did it anyway and here’s what we found out. Mild temperatures. 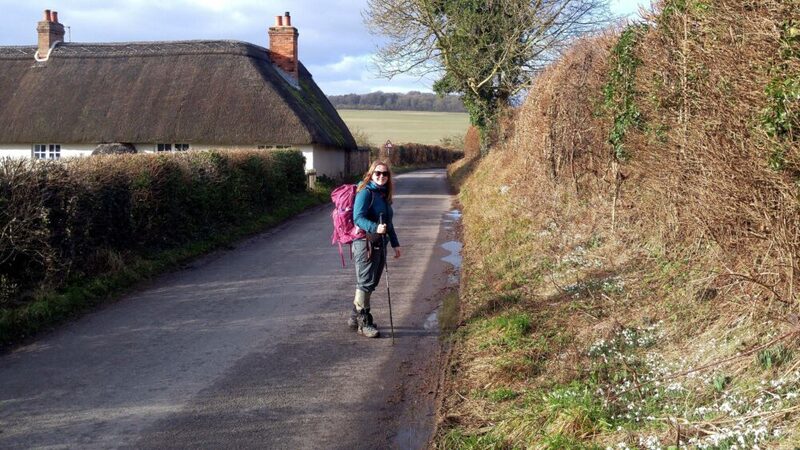 It was an average of 10 to 12 Celsius during our four days on the Great Stones Way. Perfect hiking weather if you ask me! The first and last days were bright, sunny and actually quite warm. We anticipated the worst so didn’t actually bring any sunscreen, the one thing we really needed those days. Quiet trails and sights. We did not see any other long-distance walkers during our time on the Great Stones Way, only a few dog walkers on the first day and some day hikers on the last. On the other days, we saw no-one using the footpaths at all. We had the ancient sights almost all to ourselves. Most of our accommodation was very quiet too. Cheaper accommodation. While I did note previously that accommodation in the area of the Great Stones Way is on the higher side at any time of year, it is still a little cheaper in winter. Hiking! 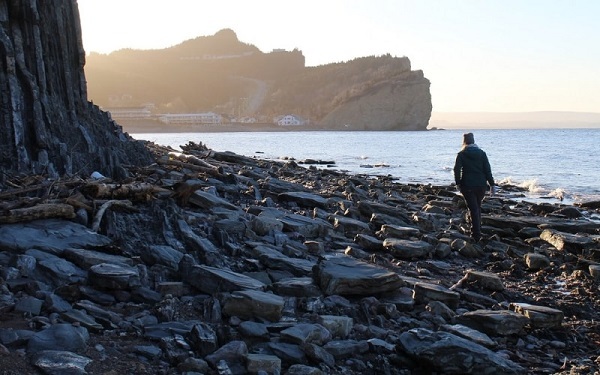 We were so pleased to be able to do a multi-day hiking trip in January. With our recent move to snowy New Brunswick on the East Coast, we are unlikely to be able to hike until May. Maybe even June! Lack of daylight was the biggest issue of the trip and something I didn’t fully anticipate before leaving. Sunrise was around 7am and sunset at 4.45pm. Breakfast wasn’t served until 8am or later at our accommodation so this meant we wouldn’t actually leave until after 9am. That left about 6 hours to comfortably walk an average of 15 miles (24km) and stop for food, navigation, photos and to explore sights along the way. It didn’t allow for much flexibility. 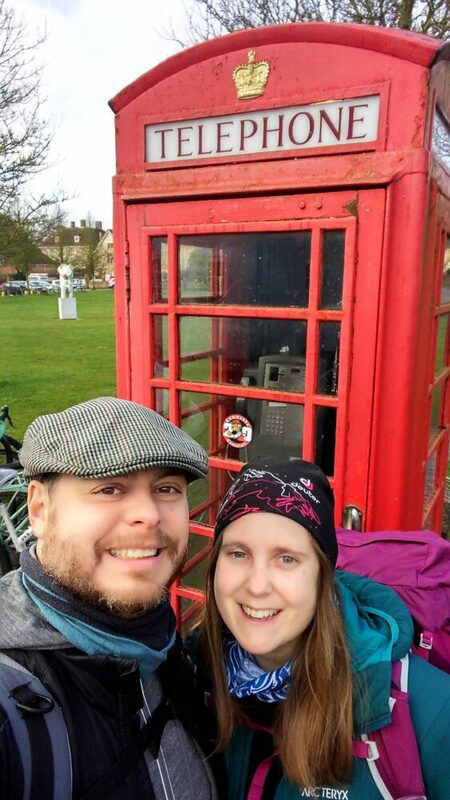 Originally our plan was to walk another two days on the Ridgeway to the town of Streatley in Oxfordshire, but we decided the walking distance was simply too long with the light available. As mentioned, we were anticipating mud. It actually wasn’t as bad as I thought, only becoming deep and more hazardous on the more popular footpaths (generally around villages). There wasn’t much flooding either, with the chalk downland draining most away. Having said all this, the muddier trails did slow our progress down a little. For winter hiking in the UK, using gaiters is absolutely essential unless you enjoy mud splattered trousers. Check out the essential items section below for more info. We were prepared for rain, and indeed it did rain. But not much. We had one terrible day of torrential rain and strong winds, conveniently on the longest and most exposed day! Otherwise, we had two days of sun and one of cloud and drizzle. Not so bad for January. Needless to say, waterproofs are essential for winter hiking in the UK. When researching the trip, I noticed that quite a few B&Bs were closed for the winter season. 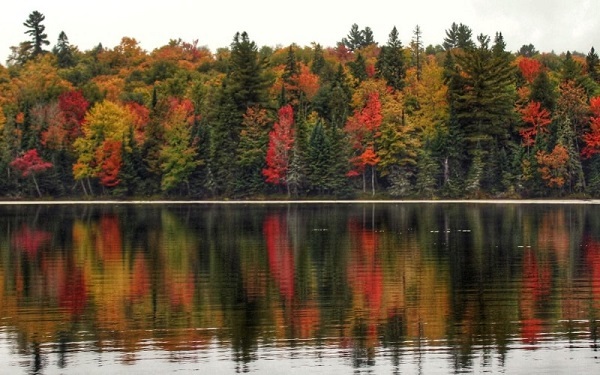 This means that it can be harder to find accommodation close to the trail in winter. For winter hikes on the Great Stones Way, I would consider booking to be essential. Winter storms can damage the trail. With fewer people walking the footpaths at this time of year, it can take a while for the pathway to be cleaned up. 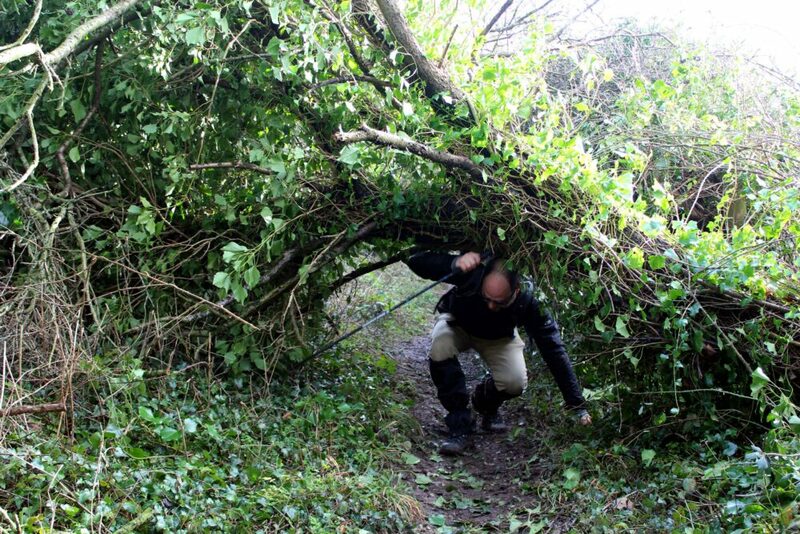 We saw a handful of fallen trees in January. Some of the following items are winter hiking specific but most are useful at any time of the year. Gaiters – These are my absolute must-have for winter hiking in the UK. Gaiters designed to protect the lower leg from mud or snow. They are typically made of waterproof material, secure fairly tightly around the calf (with zip or velcro fastening) and have an underfoot strap. Before arriving at each evening’s B&B or hotel, we’d take off our gaiters, clean our shoes (see below) and then look quite presentable and clean on check-in. Shoe brush – Such a simple item but it proved to be invaluable on our walk on the Great Stones Way in winter. With a simple dip into a puddle, we could clean our hiking shoes within a few minutes. No muddy boots for us! Black Diamond Distance Z poles – Hiking poles, in general, are awesome but I firmly believe that the Distance Z are the best on the market for the price. Ultralight (less than 150g per pole), comfortable and just so useful for taking the strain off descents and ascents. Hiking poles offer a great way to test the depth of mud too! JR and I share a pair of the 110cm version on multi-day hikes. When not in use, they easily attach to a backpack with no noticeable added weight. 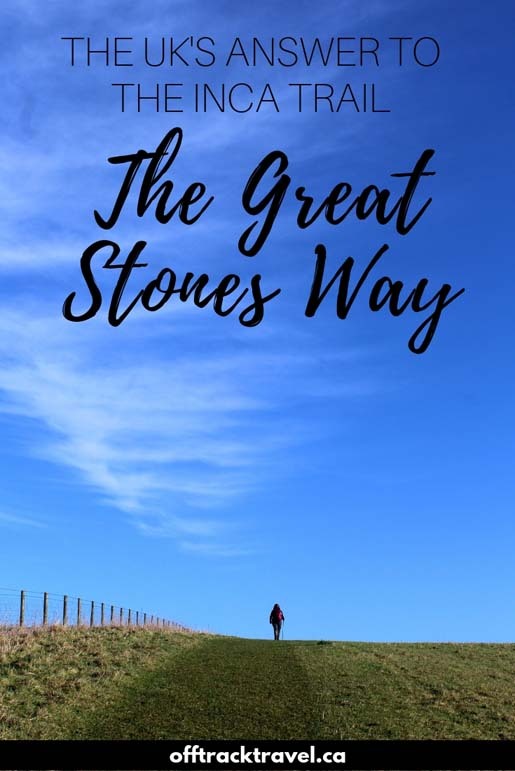 Great Stones Way guidebook – The only guidebook covering the Great Stones Way currently on the market. The walk is divided into six sections, with maps and information on sights to see. Waterproof map case – Great to store the Great Stones Way guidebook in and keep dry during those winter showers. Backpack raincovers – Incredibly light and compact, these raincovers kept our backpacks bone dry even through the most torrential of British rain. Would you walk the Great Stones Way? Great write up and photos as always. You make me miss my walks in the UK! Gemma, thanks so much for the post.Really thank you! Keep writing. Hey Kelly! Cool to hear you’re considering the GSW! Yes, I found this info particularly difficult to work out before we left on our hike. The distances were a bit vague and seeing as we were hiking in January, that wasn’t ideal! Either way, it was an awesome hike, but you definitely need GPS and a map. If you do the same kind of distances as us, spring/summer is definitely preferable since you’ll have more than enough light.